I was tempted to begin this tribute with the standard "If you're of a certain age...," but quickly came to my senses. 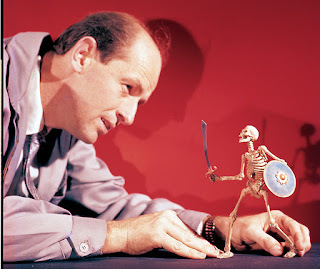 Because, really, movie buffs of all ages have at one time or another been excited, scared and/or downright discombobulated by the movie magic of the late, great Ray Harryhausen, who passed away Tuesday at the ripe young age of 92. But I suspect Harryhausen's very special effects will always appeal to the child in all of us, with an enduringly potent capacity to ignite our sense of wonder. Just how funny is This is the End?